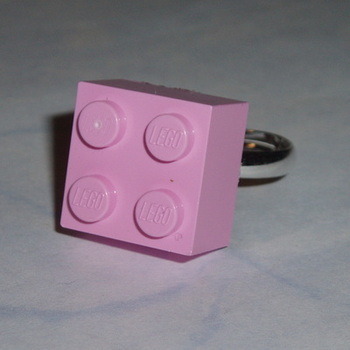 Lego Ring with 2x2 Brick in Pale Pink. Very rare 2x2 Lego Brick on a sturdy silver plated adjustable ring base. The Pale Pink Lego Brick is very hard to find so stock is Limited.